Dr Jengo's World: My STGCC 2013 addtions! Seems like it's been a while since I posted.. Anyway.. attended my first ever STGCC (Singapore Toy, Game and Comic Convention). It was fun! Didn't think I would enjoy myself that much but it was awesome. Iron Man stole the show with Hot Toys and Play Imaginative trying to wow attendees with their display of Iron Man, Iron Man and more Iron Man. Life-size, 1/4, 1/6, 1/12. There was Iron Man everywhere. Each one had their own Hall of Armor as well. Iron Man fans would have had a fantastic time at STGCC, especially if they were collectors. Hot Toys and Play Imaginative had so many variations of the different "Mark" suits up on display. Not sure if all of those would make it to retail but if serious collectors do get them all, it would make for a stunning display. Don't worry guys and gals, I took plenty of pics at the convention. I'm still uploading and choosing the pics so they are not ready yet. It wasn't all Iron Man though... Plenty of other Marvel and DC figures and statues on display, including XM studios' new statue license and their first prototypes. Plenty of artists, games and other toys were on show. 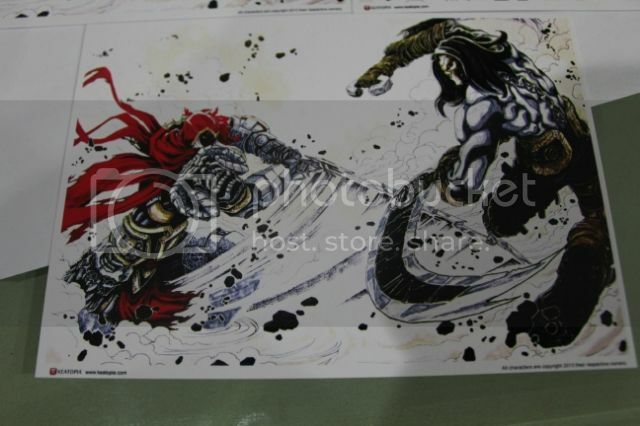 But my theme at STGCC 2013 was Darksiders.. Probably a surprise as many wouldn't even have seen that coming..
Well Joe Mad was at the convention!! While he has strong links to Marvel, Darksiders was my introduction to this awesome artist. 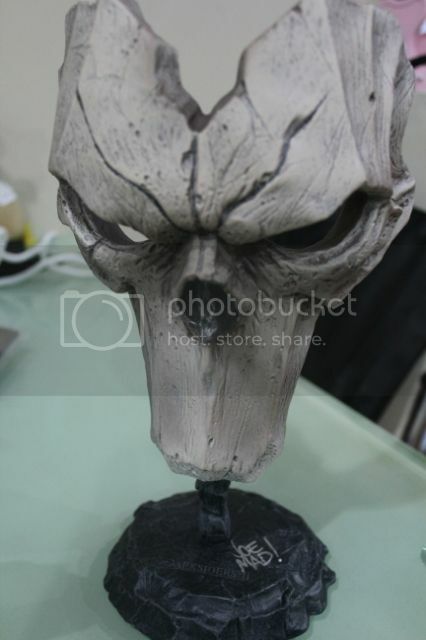 Having been a fan of the Darksiders franchise, he was the main reason why I attended STGCC 2013. 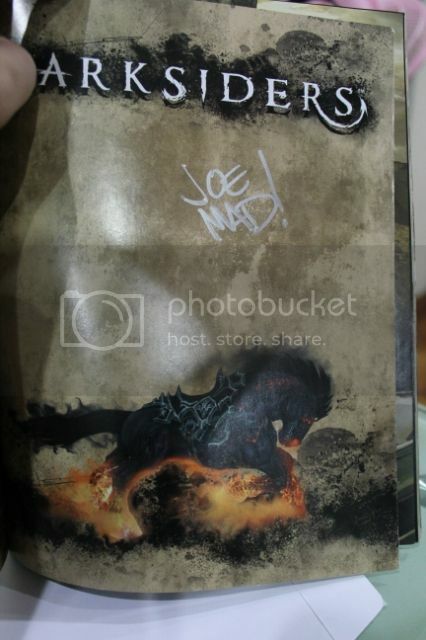 It wasn't clear whether he would be doing signings but I took my chances.. My sole goal at STGCC 2013 was to get my stuff signed by the man himself.. I'm glad to say... Mission Accomplished! 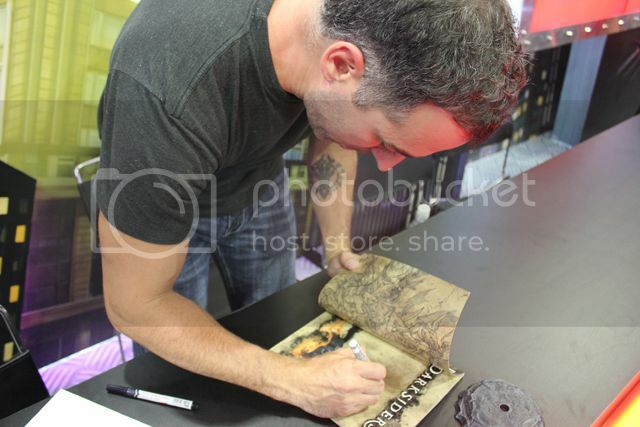 Oh and here's some pics of him signing my stuff!! 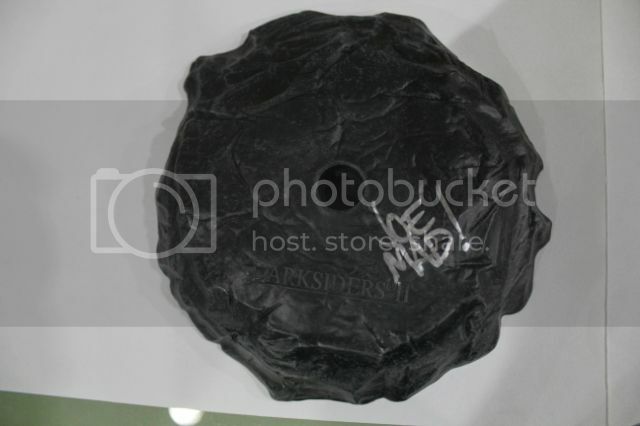 In fact, this is the first time ever, that I have got anything signed by a celebrity. Real cool and a Day never to be forgotten! That wasn't all for me.. 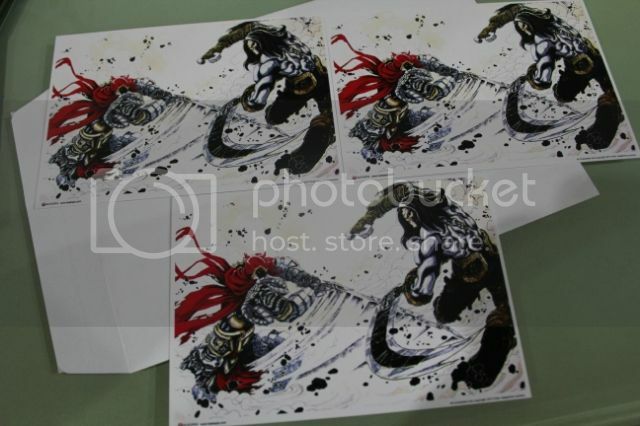 I also managed to get some Darksiders art prints done by a local artist. He was nice enough to sign it for me! 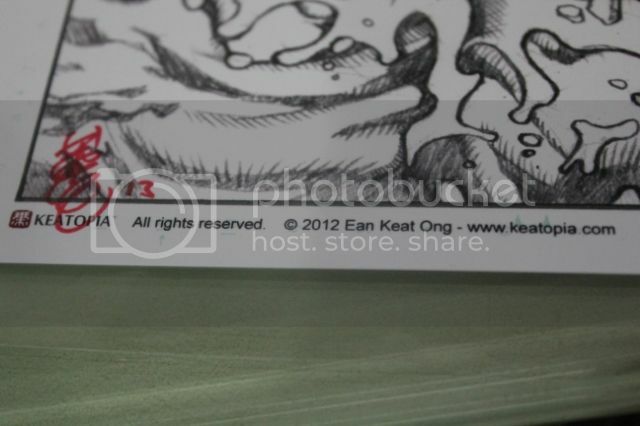 Really fantastic work by Ean Keat Ong from Keatopia and a real friendly guy! 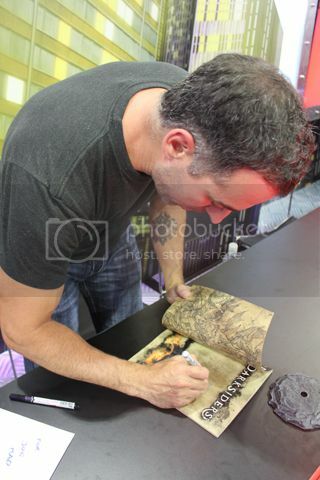 In fact, he was the one who informed me that Joe Mad would be doing signings at the Marvel booth. With some luck, I walked over and there was queue starting to form. Right timing, Lucky me! Tried to get more stuff signed on Day 2 but there was a long queue and they had to stop the queue early. Oh well.. shouldn't be too greedy! I will definitely be checking more of Keatopia's work. 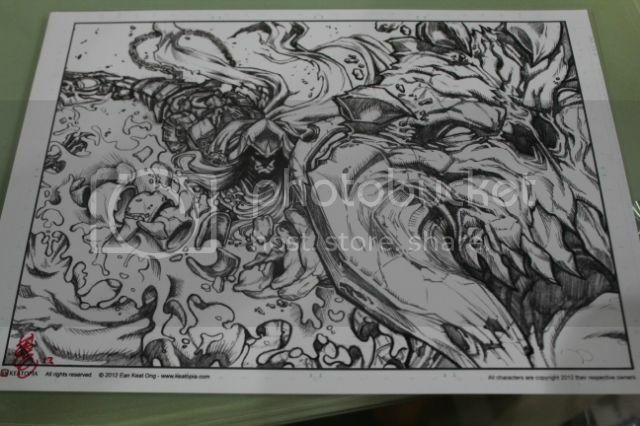 He also mentioned that a colour print of the War Artwork is in the plans. Hoping to see a Death art was well. Not surprisingly, Joe Mad's work has influenced some of the local artists as well.. I'll be adding loads of pics in the coming days so do drop by soon!